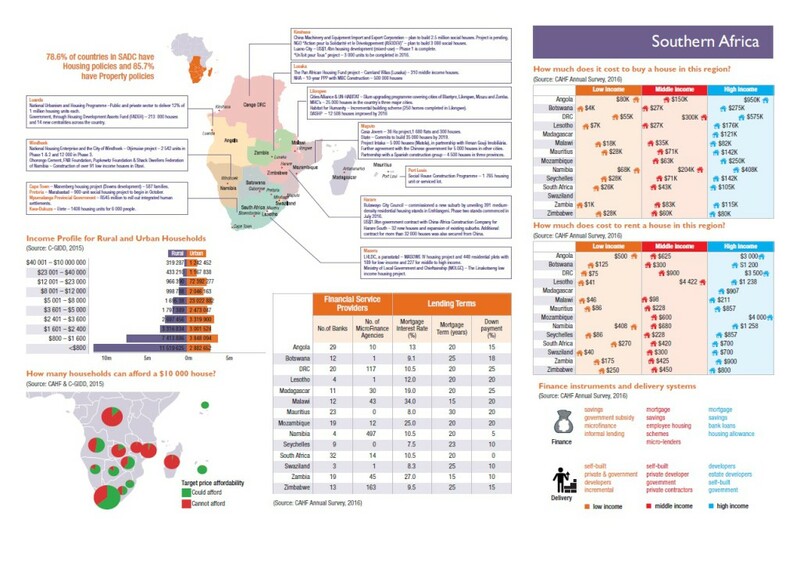 Extracted from the 2016 Housing Finance in Africa Yearbook, the 2016 regional infographics cover the Central, East, West, North and Southern regions on the African continent. 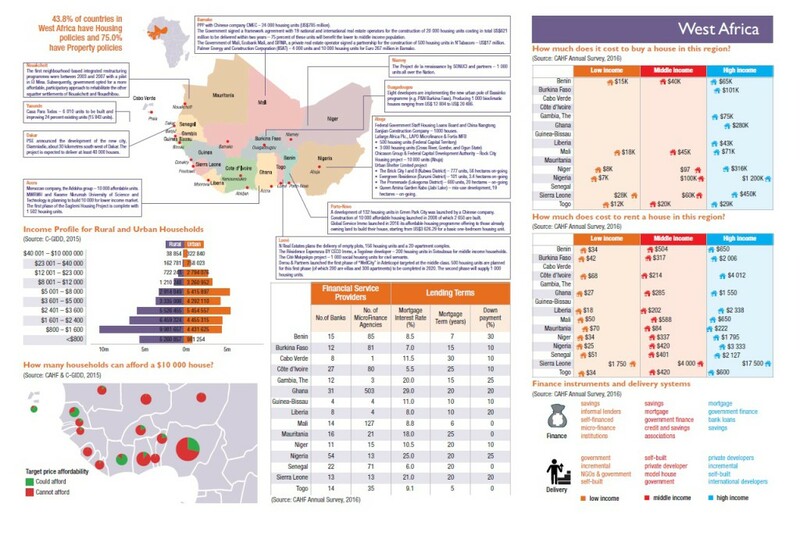 They include information from CAHFs 2016 Survey about housing and housing finance such as cost to purchase and rent a low, middle and high income house per country in each region as well as lending terms. In addition, key investments per country per region. In Central Africa 42.9 percent of countries have housing policies and 57.1 percent have property and land related policies. Click on the image below to enlarge for more information. In East Africa, few households can afford a US$ 10 000 house. Click on the image below to enlarge for more information. 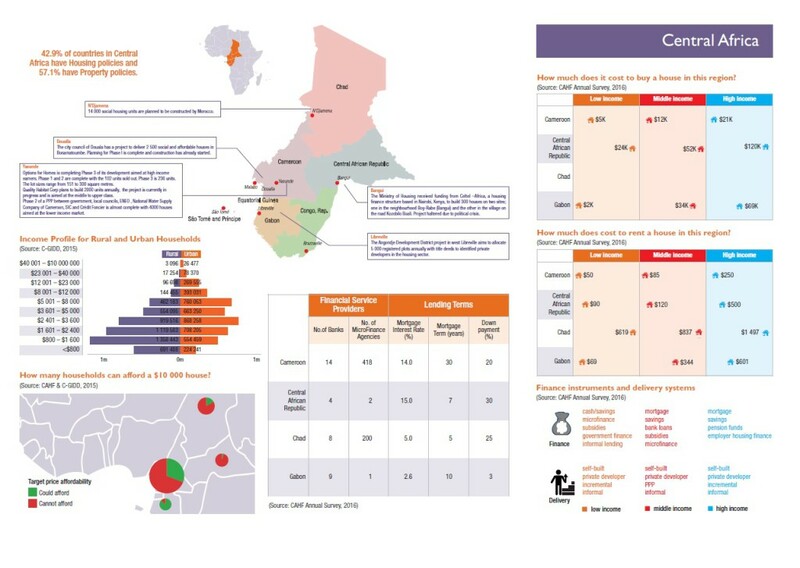 In North Africa, middle income houses range from US$ 20 000 – US$ 78 000. Click on the image below to enlarge for more information. In Southern Africa, middle income houses cost between US$ 300 and US$ 900 per month and can even reach US$ 4 400 per month. Click on the image below to enlarge for more information. 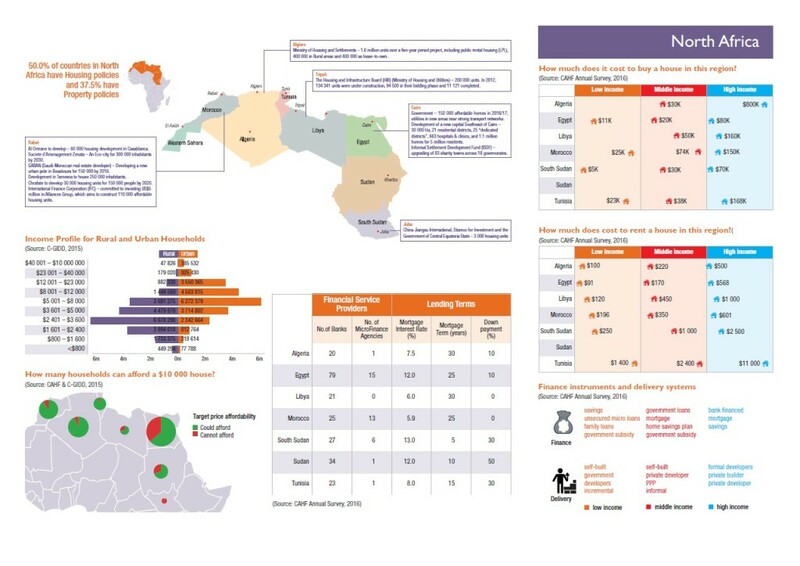 In West Africa, the average mortgage interest rate per country ranges from 7 percent – 29 percent. Click on the image below to enlarge for more information. 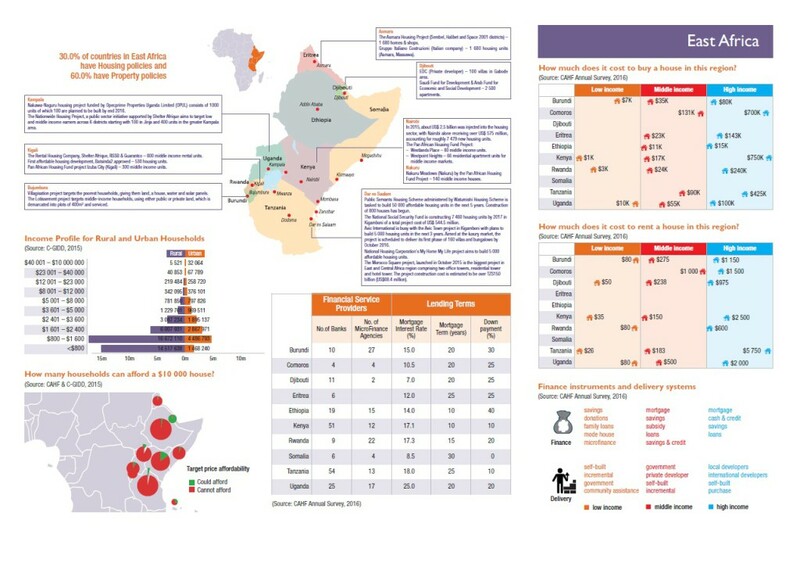 Download the 2016 Housing Finance in Africa Yearbook for more information.